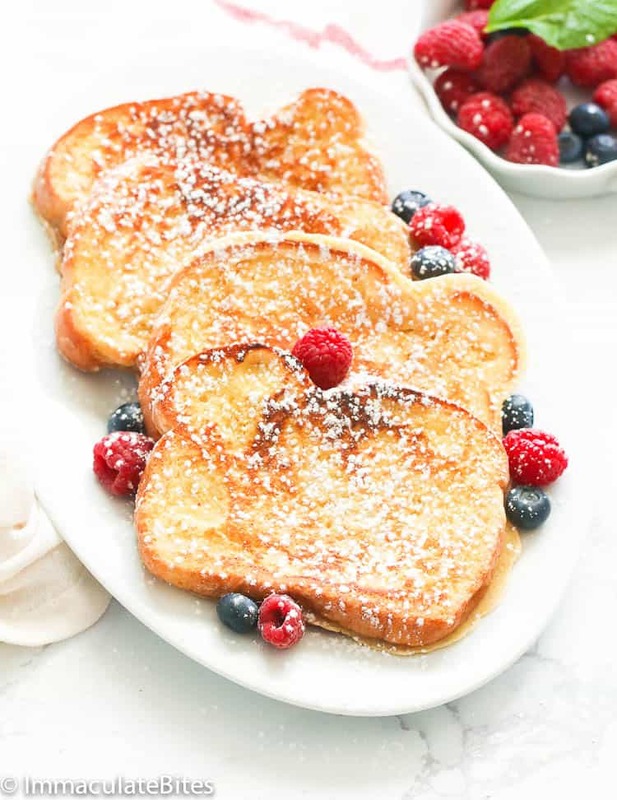 French Toast Recipe – breakfast favorite made easier and tastier with a slightly sweetened vanilla custard and a touch of rum, nutmeg and cinnamon. Breakfast ready in just 20 minutes! 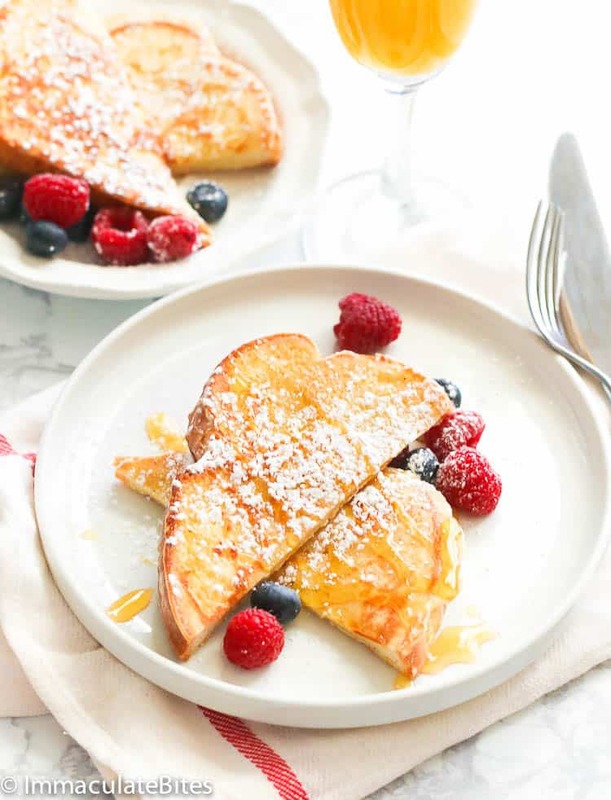 Growing up in Cameroon, French toast are a staple at home most especially on weekends. It’s the lazy yet tasty kind of breakfast that sets you in a good tone on your first bite. I mean who doesn’t? Bread is LIFE, but when you dip it in a slightly sweetened vanilla custard mixture, it’s on another level. Honestly, I could eat 5 or more slices of it and I won’t feel guilty. So you probably know what happens when I make a bigger batch of this French Toast Bake (easier when you’re feeding a crowd). 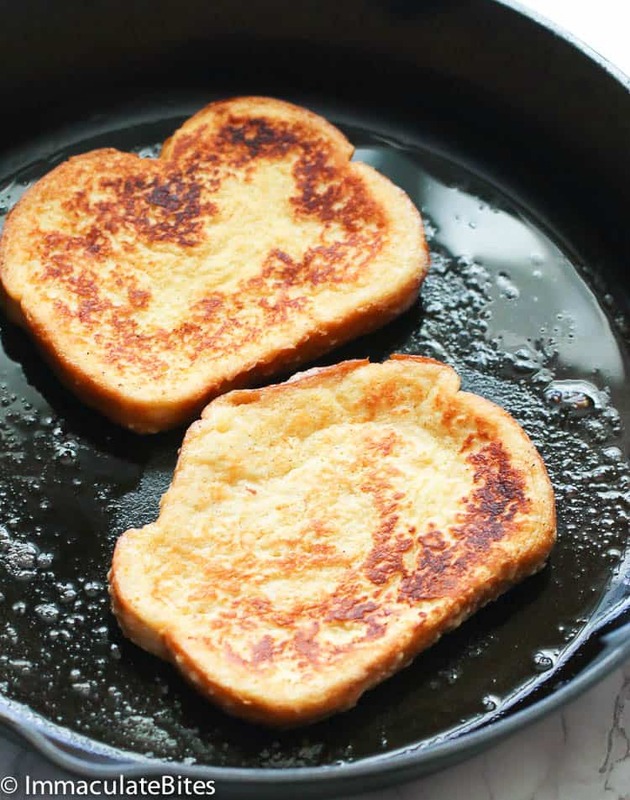 Classic French toast has few simple ingredients. It uses egg, milk, sugar, cinnamon, vanilla – among others. These ingredients create the custard mixture that coats the bread slices before it’s heated on a butter-greased skillet. But my version of French toast has it’s own twist. I added…wait for it….rum and flour! Yes yes! And it turned out to be my new favorite version of French toast and I’m never looking back. The rum complements well with the warmth of cinnamon, nutmeg, and vanilla. Aside from that, it also has a beautiful inviting smell! 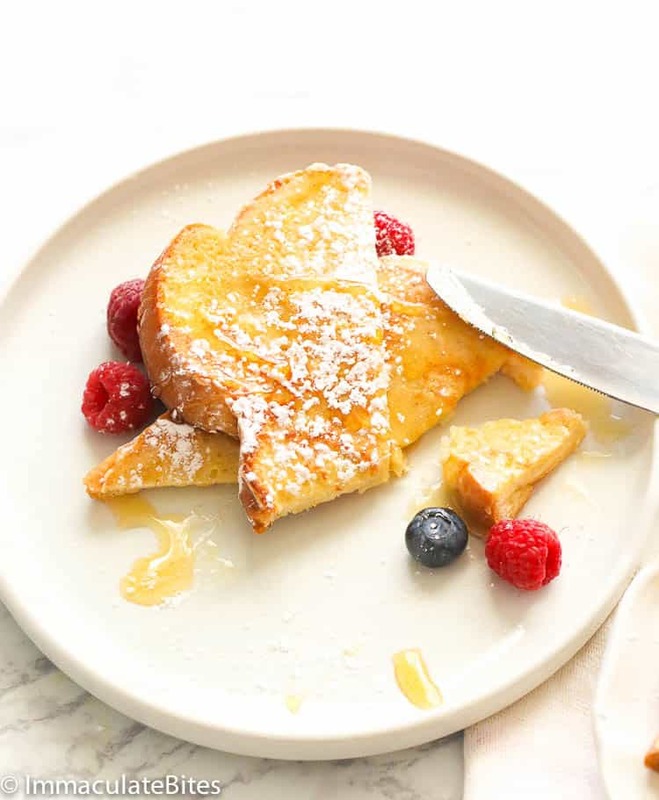 The flour on the other hand helps the mixture to be more like of a batter so it could create a fluffy yet with a slight crisp on the outside French toast. 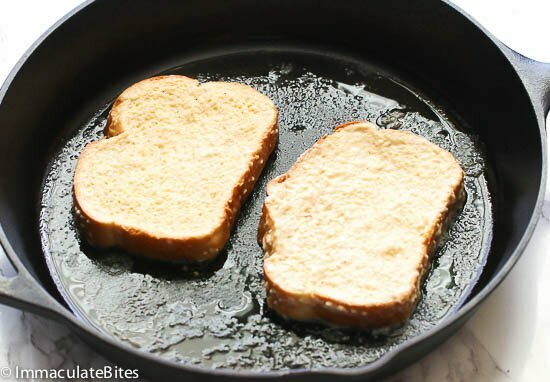 How to make easy French Toast? The custard mixture is the essential part of a French toast recipe. I’d prefer it slightly sweet with that layers of flavor from milk, nutmeg,cinnamon,vanilla and, just recently, rum. It starts with mixing well the custard mixture. 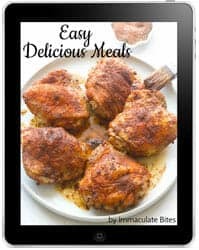 You can prepare this ahead overnight so the next morning all you have to do is dunk the bread into it and heat on the skillet. Allow the mixture to soak into the bread, but not too long, before placing the bread in a buttered skillet. Garnish it whatever rocks your boat – with powdered sugar, maple syrup, whipped cream or berries on the side. What milk to use for French Toast? For a creamier batter, you’l have to use a milk with higher fat content. Whole milk also works fine or you can use half and half (equal parts of milk and cream) just like what I did. 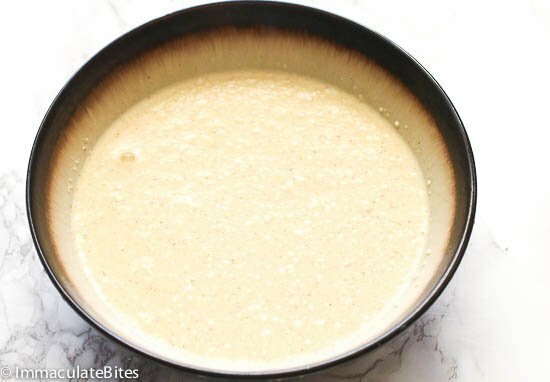 Remember as well, that if you use fat-free milk or 1% fat, the batter will not be as flavorful and the egg will be the much more prominent flavor. How to avoid soggy French toast? 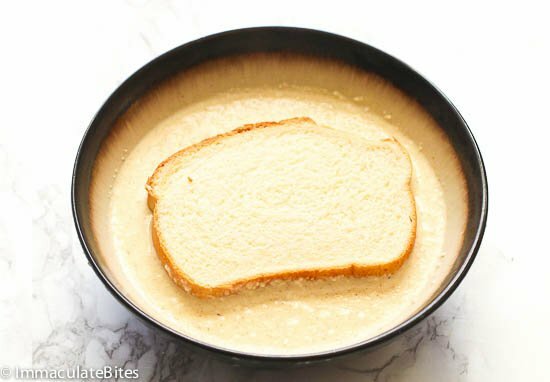 To avoid a soggy French toast, DO NOT let the bread slices soak in the milk mixture for too long. Too much custard in the bread will have it a hard time setting up even when it’s cooked through. And also don’t skip on the flour. It holds the batter the really well which helps with the texture of the French toast bread. 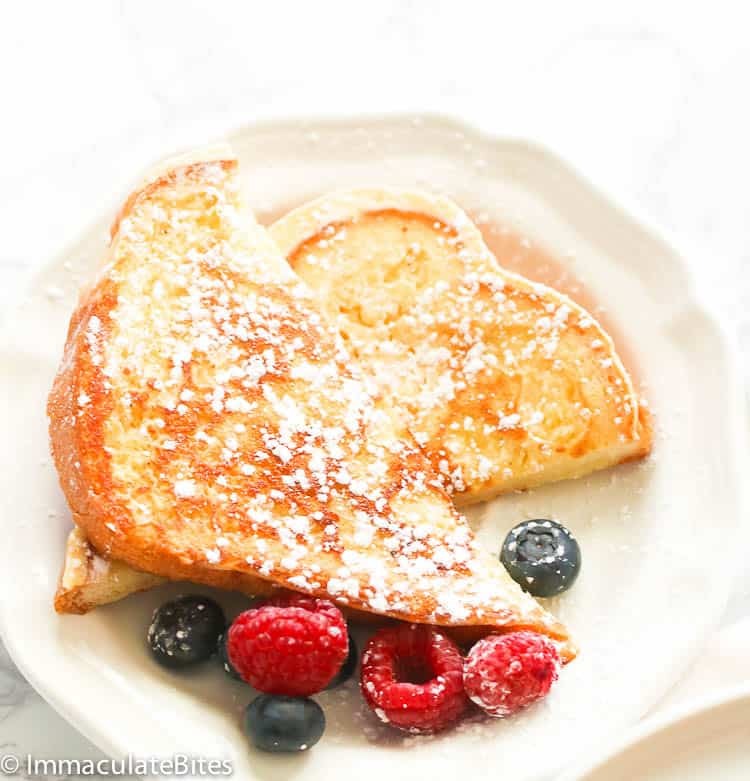 Serve this French toast here with maple syrup on top or dusted with powdered sugar. Or you can sandwich the French toast together and serve it something delicious in the middle. And lastly, if you’re serving it for a crowd, swap this one out for this easy great make-ahead breakfast French Toast Bake. 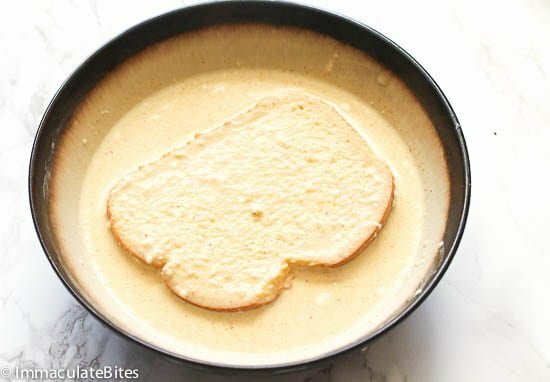 You can prepare the custard mixture ahead overnight so the next morning all you have to do is dunk the bread into it and heat on the skillet. 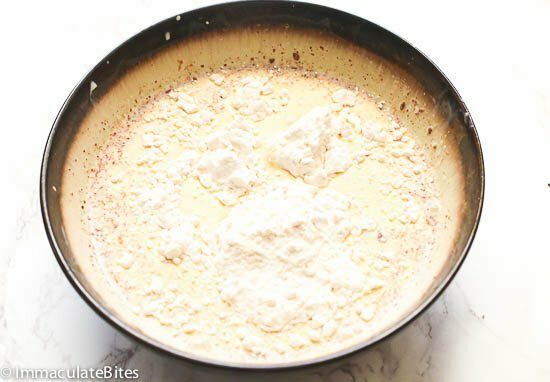 If you use fat-free milk or 1% fat, the batter will not be as flavorful and the egg will be the much more prominent flavor. DO NOT let the bread slices soak in the milk mixture for too long. Try not to crank up the heat or it’ll result to an overcooked French toast with a liquidy center. 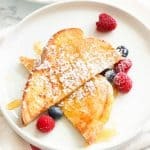 French Toast Recipe - breakfast favorite made easier and tastier with a slightly sweetened vanilla custard and a touch of rum, nutmeg and cinnamon. Breakfast ready in just 20 minutes! Then place bread slices, one or two at a time, into the egg mixture and flip to make sure both sides are fully coated. Heat a skillet over medium heat and grease well with butter. Place it in the hot greased skillet and cook for a few minutes until bottom of the breads starts to get golden brown. Flip and cook on the other side. Repeat with the rest of the bread slices. Serve warm with syrup, a sprinkle of honey or powdered sugar and your favorite berries on the side. In a plate, whisk in eggs, half and half, flour, salt, sugar, nutmeg and cinnamon. Combine well, then add vanilla extract and rum. Set aside. Then place bread slices, one or two at a time, into the egg mixture. And flip to make sure both sides are fully coated.